As you can imagine our foals are always a delight, from the moment of birth to the playful antics and the characteristics that emerge during the time in the herd environment. We allow the foals to remain with mum throughout the first winter allowing them time to develop. 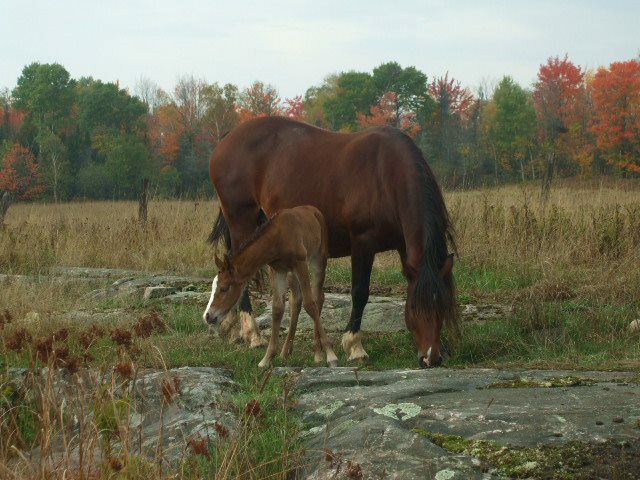 We practice early contact with the foals to establish a foundation for later contact. Some of the play antics that foals develop like racing each other jumping obstacles etc, indicate the type of discipline they would excel at in later life, although they are a versatile outcross.